What can science tell us about why people resist change or what you can do to help your staff adjust? This audiobook discusses how to utilize behavioral psychology techniques to help overcome resistance to change in yourself and in others. Before we can embrace change, we first have to unlearn our old ways of doing things. 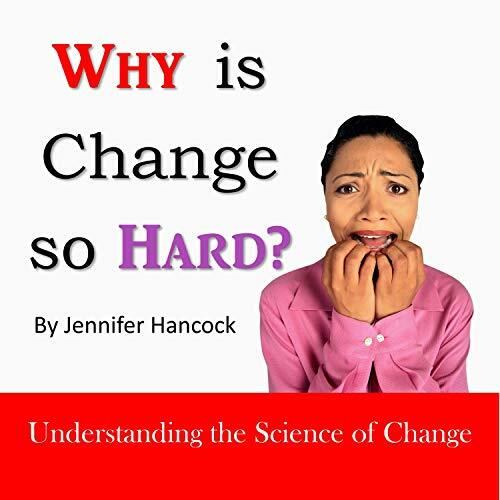 In this audiobook, author Jennifer Hancock is going to discuss why we all find it so hard to change and why it’s particularly difficult to create culture shifts within an organization. She takes an operant conditioning approach to the problem, which basically means she takes a behavioral psychology approach.